The wedding of UK's Prince Harry and former American Meghan Markle on 19 May is definitely going to be a major event of this year. According to British media reports, the invitations were printed on March 22, suggesting that the guest list has now been finalised. There are few guests who we know will certainly be invited to the wedding. They includ Prince Charles and Prince William and some other personalities having close association with Prince Harry and his bride. British media has been speculating about the potential guests who might be invited to the event. 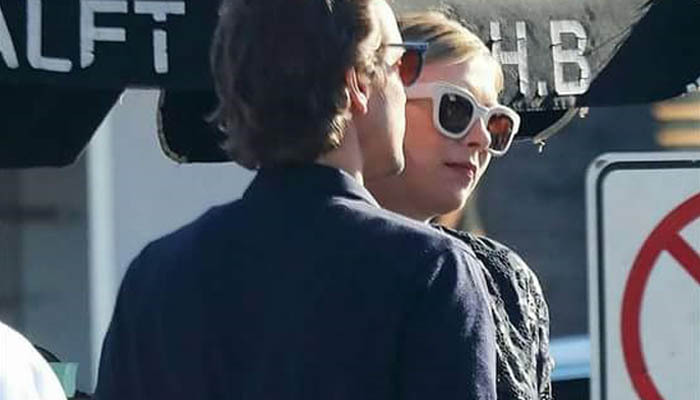 Maria Sharapova, Russian tennis star, according to the latest media reports might make it to the event after the five-time grand slam winner, and Alexander Gilkes, known as New York’s best-connected Briton were seen holding hands recently as they visited an art gallery in Beverly Hills . According to Dailymail, Gilkes was a guest at William and Kate’s wedding, is a friend of Sarah Ferguson, used to employ her younger daughter Princess Eugenie – and his ex-wife is Meghan Markle’s favourite designer as well as her friend. "She and Gilkes were seen holding hands recently as they visited an art gallery in Beverly Hills and made no attempt to hide their closeness from the cameras"
"Art auctioneer Gilkes, 38, is a strong contender to be on it, meaning that Miss Sharapova, 30, might get to go as his ‘plus one’," reported the mail. The paper reported that Gilkes is understood to have become friends with Prince William when they were both at Eton and is also said to be close with Prince Harry, who also went to the school. Some others publications have also carried out reports about romance between the two. But they remain tight lipped about their relationship, not responding to questions by the media.